Completely customisable to suit any business model perfectly - we have clients in almost every industry! Give your team access to all of this critical business information - anytime and anywhere! 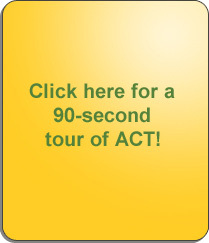 One office or many; interstate or internationally; desktops, laptops or PDA's...ACT! gives you the widest range of accessibility of any CRM in the market. Attach all of your documents (quotes, contracts, Application Forms, Letters, and so on) in one place – directly on your Customer record! It doesn't get easier! Integrate your Blackberry, Pocket PC, Mobile Phone, or even your iPhone directly to your ACT! database. Get all the information you need without ever having to come into the office. Now that’s true mobility!